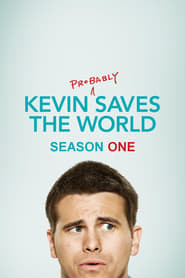 Reveling in his success after finding the first righteous soul, Kevin attempts to help a man start dating again after a bad break-up. Meanwhile, inspired by Kevin’s good deeds, Reese befriends the new girl at school. Yvette becomes concerned by Tyler’s desperate search to reconnect with the mysterious lady he met in Laos, and Amy finally finds the courage to ask Nate out on a date.